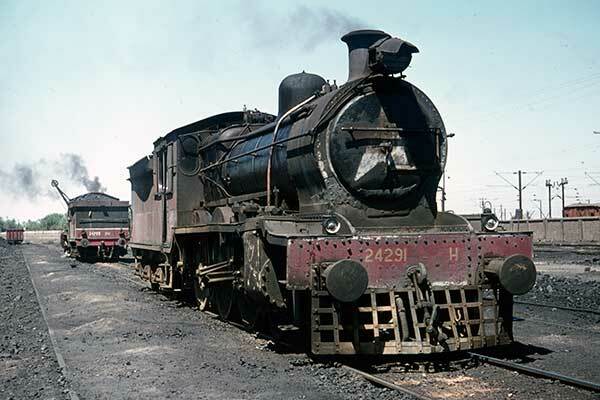 Caption - Indian Railways (Western Railway) H class 4-6-0s 24291 & 24293 at Baroda (Vadodara) in 1978. These handsome locomotives were introduced in 1907 and were a typically British BESA design. The two locos featured were built by North British in Glasgow in 1922 and by 1978 were employed on secondary duties in the area.